1- When did you first realise you wanted to be a writer? The truth is, I never really had any ambitions to become a writer. I never spent time dreaming up stories. I never imagined characters, and before writing my first novel, I had never even written a short story. What happened was, (and this is the short version) I woke up one day with a story in my head and decided to put it to paper. 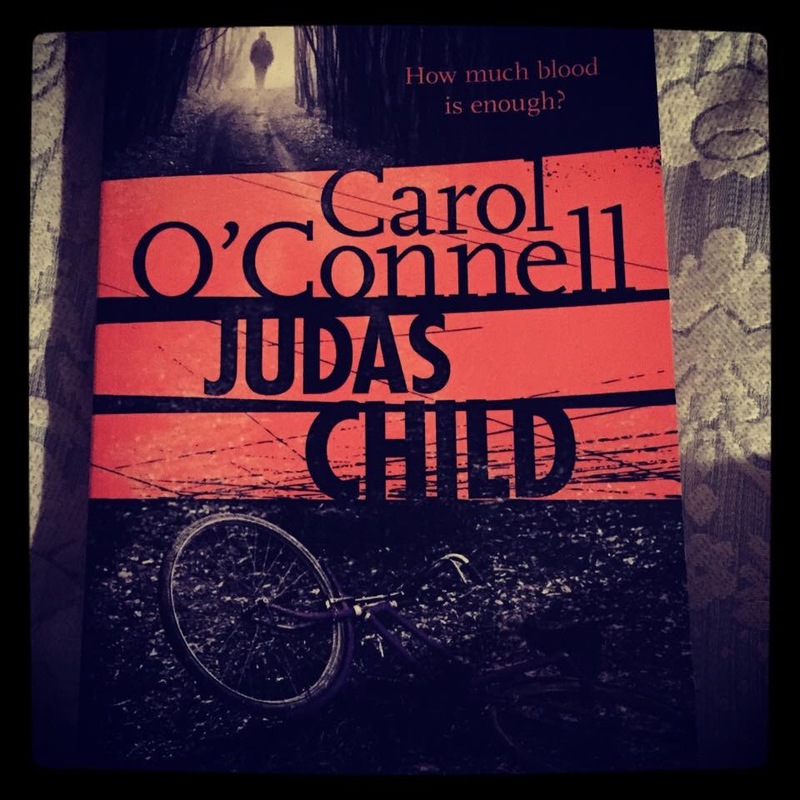 That was – The Crucifix Killer – my first novel. 2- How long does it take you to write a book? Usually around seven to nine months, but my last novel – I Am Death – took me a lot longer. I started with an idea, but five months into writing it I decided that the plot wasn’t strong enough. So I threw everything away and started again from scratch. 3- What is your writing process like? My whole writing process is pretty organic. Basically I start every day reading what I wrote the day before. Most of the time I end up editing almost everything, and then I move on from there. I don’t have a specific target in mind – no number of words I have to write every day – no number of pages – nothing. I just write until I think I’ve done enough for the day. 4- How did you create Robert Hunter? Well, since I was writing a crime thriller, it was obvious that I needed a detective, so I just created one out of the blue. At first, there wasn’t much thought put into his character. I just created a detective that I thought would work. A detective that I would’ve enjoyed reading about if I had picked up a crime thriller novel. 5- Do you get ideas from your previous job as a criminal psychologist when writing? Yes, I do. Due to my old profession, the cases I worked on, the things I saw, etc. it’s impossible for my brain to start thinking of a crime story, or for me to imagine a crime scene, without a ton of images exploding inside my head. I use them quite a lot in my novels. 6- Do you find it easy to write Robert once you start or does he go off on his own way? For me it’s a lot easier once I start. As I’ve said, my writing process is pretty organic. Things only really start to roll once I start writing, never before. 7- Is there another book in the series in the works? Yes. Because I was so late delivering “I Am Death”, I started writing the next novel just a couple of weeks after handing in the manuscript. 8- How much research do you do for your books? Do some books require more research than others? I do a hell of a lot of research for my novels, and yes, some books will require a lot more research than others, depending on what the main plot is based on. 9- How do you go from Glam Rock bands to writing? 10- Do you get writers block? If so, how do you break through the wall? I haven’t yet. I guess that at the moment my mind is too twisted for that. There’s always some crazy idea swimming around in there. 11- What is the hardest thing about writing a series? To be honest, I’m not really sure. I love the entire process of writing. I love developing the plot. I love coming up with the characters that will make the story. I love creating the villain. I love the research – everything. Maybe, after seven novels, I could say that the hardest thing about writing a series is trying to keep it from becoming boring. I feel very lucky that readers still want to read Hunter stories. 12- What is your favourite thing about Hunter? I would have to say – how calm he is. It takes a lot to make him lose his cool, which is something that is hard to see nowadays, specially for someone in such a stressful profession such as being a detective in a city like Los Angeles. 13- When it comes to publishing, do you proofread your book or do you ask someone else to do it? Once I have finished writing the manuscript, I do proof read it, but because I have been dealing with the MS for many months, it’s very easy to lose perspective. But that’s one of the perks of being signed to a publishing house. They have editors, proofreaders, copy editors, a whole team of professionals that will go over my work and shape it, ready for publishing. 14- Do you have proofs done up for reviews before the final book goes to print? My publishing house does, but I don’t usually get them. They send the books out to reviewers themselves. 15- Do you have a strategy for finding reviewers? How do you feel about positive/negative reviews and feedback? As I’ve said, all of that is done by my publishing house. I’m sure that they have a large list of reviewers that they contact. The truth is that I try my best never to read reviews, good or bad, simply because I know of the psychological effect they can have. The only reviews I tend to read are the ones that are sent to me either by my agent of by my publisher. 16- How do you relax? I love clubbing. I’m out dancing or going to gigs almost every weekend. 17- Do you read much? If so, what do you like to read? To be very honest – no, I don’t. I read about two to three books a year, seriously. When I do, I love crime thrillers. 18- What is your favourite book/band/movie? Favourite book – I don’t have one. Favourite band – it changes every so often. Right now I’m really into a few like Killswitch Engage, Combichrist and a few others. Favourite movie – again, too hard to pick. 19- If your books were to be made into movies, who would play the leads? I get asked that question a lot, and my answer is always the same – no idea. I would be so happy that a movie studio would want to make any of my novels into a movie that I probably wouldn’t mind that much. 20- If you could have been the original author of any book, what book would it be and why? None. If I were the author of somebody else’s book, the book wouldn’t have been the same. Books become well known because it’s the brainchild of its author. It’s his/her vision of a story. Change the author, the vision changes and so does the story. 21- How can readers discover more about you and your work? Blood sacrifice. Contact me for details. 22- Is there anything you would like to add? I would just like to say a huge thank you to all the readers out there for all the amazing support they have shown me and all my novels from the start. If it weren’t for you guys, I wouldn’t be writing. Massive thanks again to Chris Carter for taking the time to answer my questions! I’m so grateful to have had the opportunity to ask them! 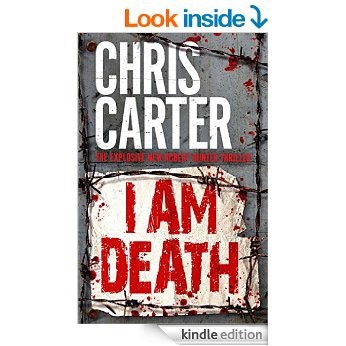 I Am Death is the 7th instalment in Carter’s Robert Hunter series. Hunter is an LAPD detective specialising in ultraviolent crimes, along with his partner, Carlos Garcia. I had been reading a Sophie Hannah book, and to be honest I couldn’t get to the end of it quick enough so that I could get stuck into I Am Death. “AN EVIL MIND was Chris Carters’s most acclaimed novel to date, described by the Daily mail as: ‘A chilling, compulsive portrait of a psychopath, and proves that Carter is now in the Jeffrey Deaver class.’ It spent three weeks in the Sunday Times top ten and received brillant reviews and sales. A young woman is found on a patch of grass with her body laid out in what is essentially a pentagram shape, which begs the question, is it a ritualistic murder? As the investigation begins, Hunter and Garcia receive notes from the killer, who signs off as “I Am Death” and leads the detectives to believe he is not done killing. 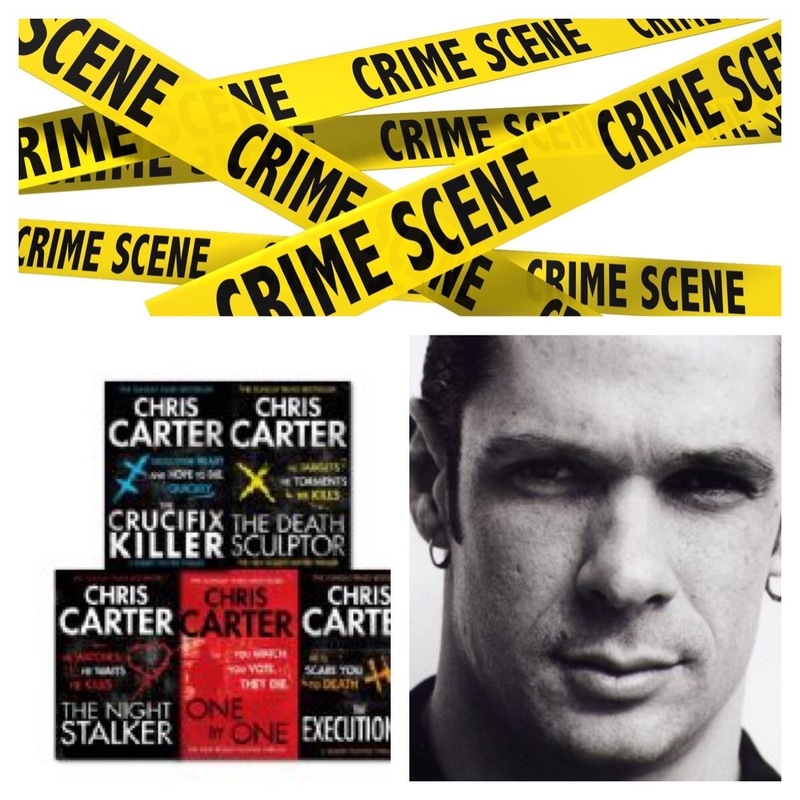 As the body count begins to rise, Carter amps up the gruesome violence with each one, leaving the reader wondering, ‘can it get much worse?’. It can. Some of the injuries inflicted on the victims defy belief, and if you’re squeamish it can make for uncomfortable reading. The investigation calls in help from LAPD Missing Persons unit, along with Hunters friend from the FBI, Kennedy, who was also present in An Evil Mind. All these people serve to try and solve the crimes as well as locate the sociopath committing them. At the beginning, I thought I knew who the killer was, I was almost 100% sure. I was also 100% wrong. I literally sped through the last 20% of this book (I had bought it on Kindle) convinced that I knew what was coming, but I was so so wrong. As usual, Chris Carter has delivered another brilliant Robert Hunter book, full of gory crimes, extreme twists, and a completely (in my opinion) unexpected ending. Read this after I Let You Go and I was soooooo disappointed. Maybe my expectations were too high, whatever it is I didnt really enjoy this at all. Set 13 years after a girls family is massacred, it picks up in her present day life. Alison, she used to be Esme, has carried on her life after she moved away. Alison’s partner was invited to a wedding in Saltleigh, the place she left as a child, so they both return to attend. Surprise surprise, it goes downhill (irritatingly slowly!!!) from there. The community is full of secrets, nobody wants to share what they know. Alison is in danger, and races to find out the truth of what happened to her family many years ago. I really didn’t enjoy this book, it’s not often I do it, but I only gave it a 1 star review on Goodreads. I expected so much better!! I loved this book. Really, really, *really* loved this book. One of a handful of books on my Goodreads with 5 stars. Set in the aftermath of a hit and run, it follows Jenna as she moves away to start a new life on the Welsh coast. The DI charged with solving the case is determined to get to the bottom of it and he risks losing more than just the killer while investigating the tragedy. I cannot go into the plot without giving anything away, and I don’t want to, I made sure to avoid reviews etc before I read this, and I was so glad. I literally had my jaw drop at one stage. I cannot recommend this book highly enough. Definitely one of my top reads of the year so far! 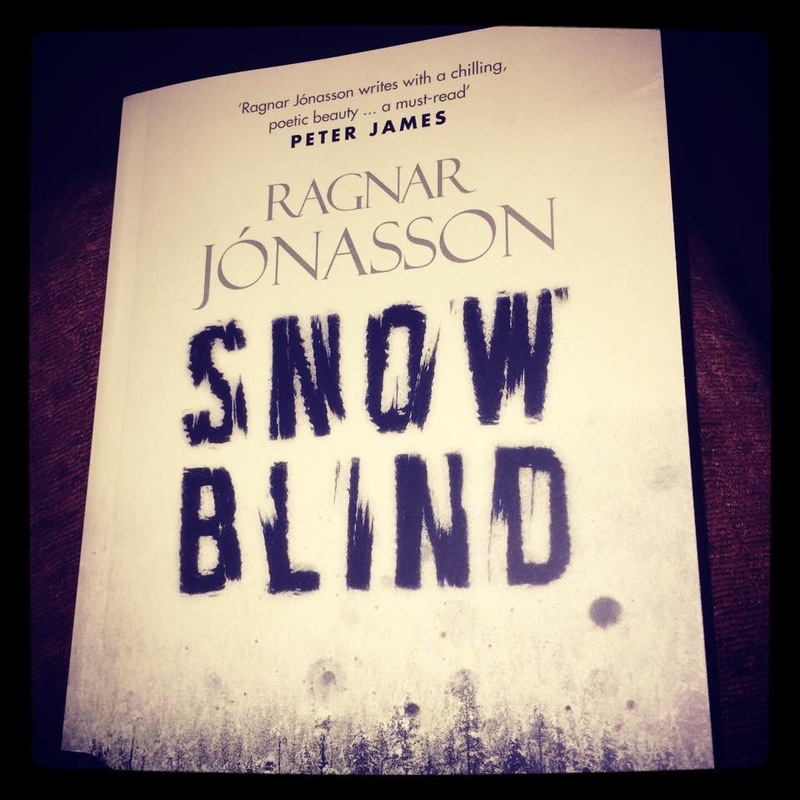 Jónasson writes Icelandic Noir, with Nightblind to follow. I’ve not read and Icelandic based books before, just the usual Scandinavian (Nesbo, Holt, Mankell et Al.) thrillers. Snowblind was beautifully written, the landscape alone makes for good reading. The book follows Ari Thór after being posted to a new position in Siglufjöður, a very quiet fishing village in the north of the country. This is a place where nothing happens, but of course, these things change very quickly. I don’t want to go into the plot. It’s a really good story though, plenty of twists and turns between the characters. 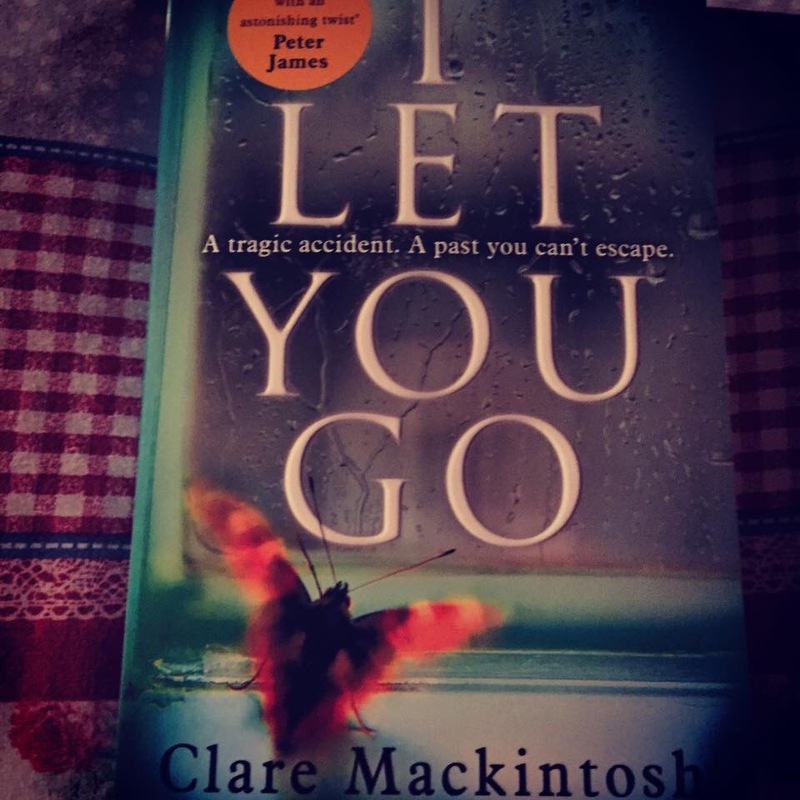 It’s a really enjoyable read, cold and well paced. I gave it 4 stars on Goodreads. 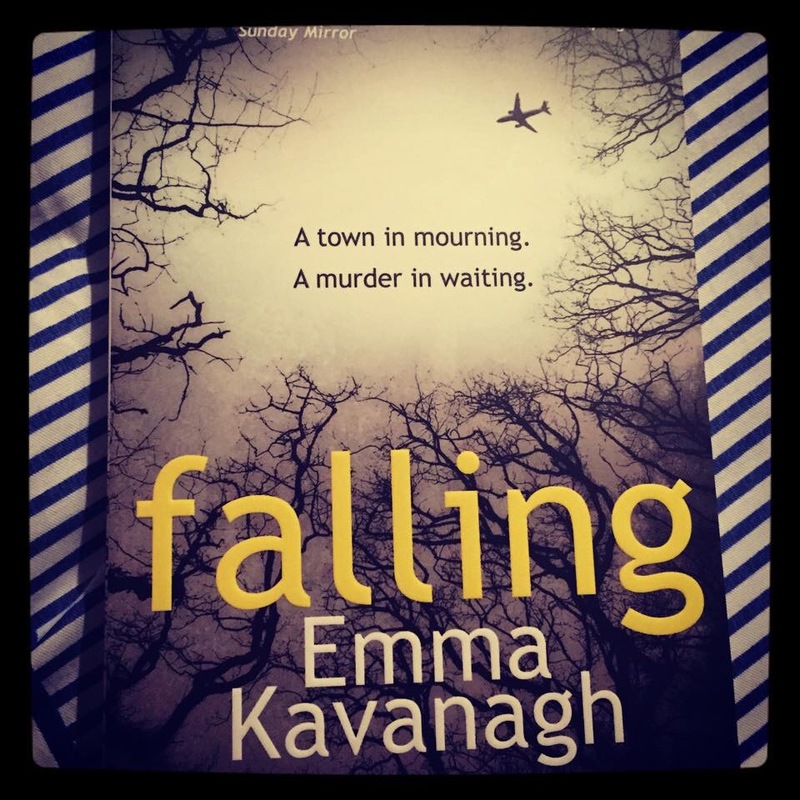 I had seen Falling popping up on blogs and on Goodreads a lot before I bought it, so as usual, off I went to order it! I had it for a few weeks before I started it, I think I was reading the Dublin Murder Squad series, or something equally tedious. The fact I can’t remember doesn’t say much for whatever it was! Falling was very easy to read. Told from alternate viewpoints it was still simple enough to follow. If follows the main characters in the aftermath of a plane crash with intermittent flashes back to their reasons for being where they are now. I’m not going to go into detail, sufficed to say, Falling is a good book! 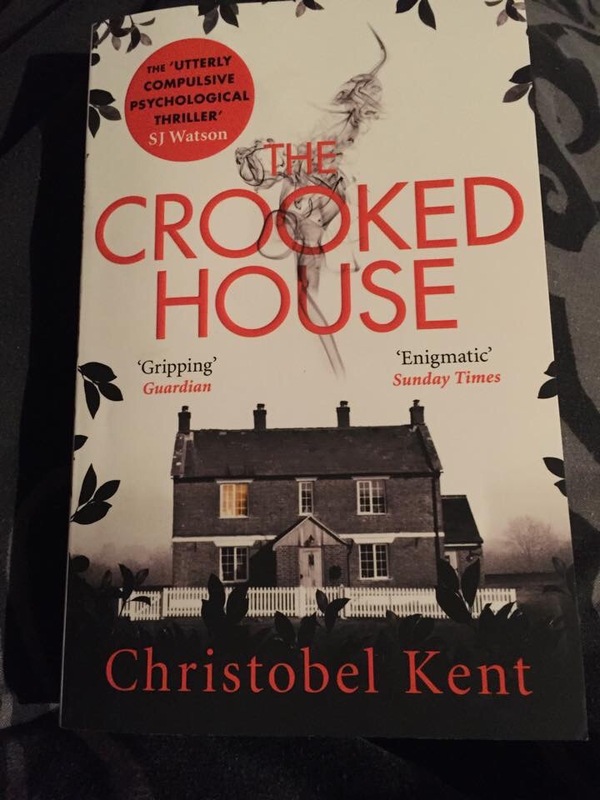 Not quite a psychological thriller, more of a slightly mysterious low level of suspense book, but still good.